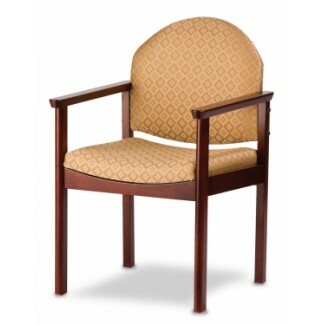 The Holsag Arthur Arm Chair was primarily developed as a health/eldercare chair but can be used in a number of other applications. It's solid hardwood construction makes it ideal for any high traffic areas. The Arthur chair can be finished in any stain. 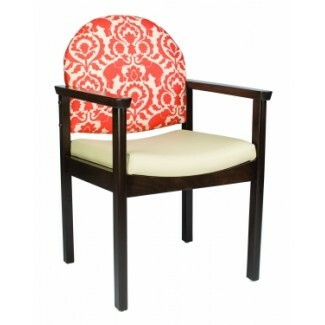 The chair is constructed 100% solid European Beechwood with mortise and tenon joinery that is glued, pinned and screwed for sturdy assembly and structural integrity. High traffic restaurants needing furniture that will withstand constant use - our Holsag beechwood furnishings will do just that. Wood Finish Options: 28 stain colors to choose from. 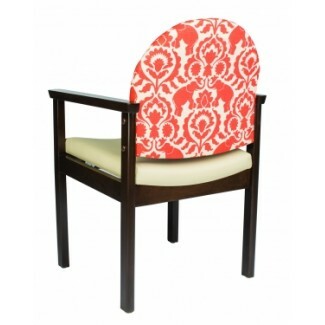 There are a vast array of upholstery options.